Based in Los Angeles, Domenico’s Foods, created by Dominick DiBartolomeo, provides authentic homemade Italian foods ranging from marinated sun-dried tomatoes and pestos to pastas and more. We Design LA constructed a brand identity for Domenico’s Foods that captured the Italian essence central to their products. Their new website provides a fully-integrated ecommerce site that is easy to navigate and incredibly user-friendly as well as interactive. What started out as a favorite pastime for Dominick DiBartolomeo grew into a passionate family business. 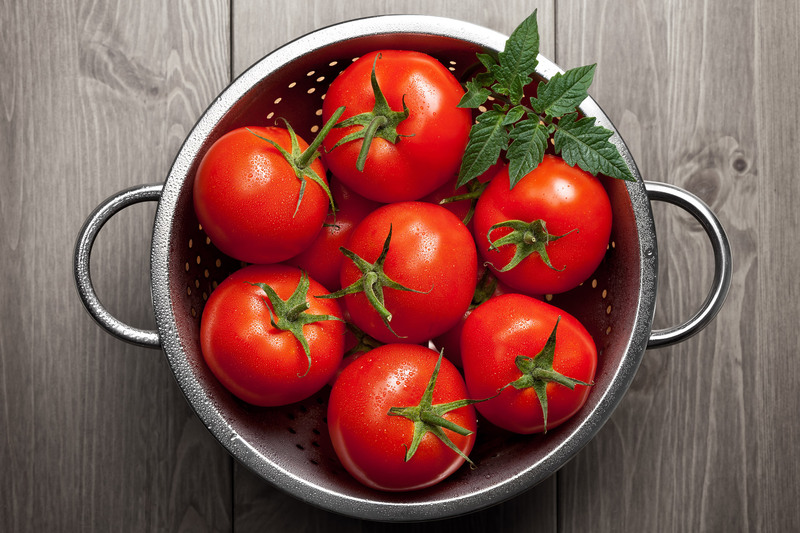 Dominick grew up learning how to marinate sun-dried tomatoes from his grandfather in New York. As he got older, he decided to share this much cherished age-old recipe that had been handed down from generation to generation. When he started working at the Cheese Store in Beverly Hills in 2001, he decided what better chance to seize the opportunity than to share his marinated tomatoes. They ended up being so popular with the customers that he became known as “the Tomato Guy”. This one product inspired Dominick to launch a full-scale Italian foods company, Domenico’s Foods. He expanded his product line to include Parmigiano Reggiano Stuffed Peppers, pestos, tapenades, sauces, lasagna, eggplant parmigiana, and of course, fresh pasta. Now, his products can be found in farmer’s markets all over Los Angeles as well as other retail locations and even through the popular online food marketplace Good Eggs. Building upon his success and popularity at the Cheese Store in Beverly Hills, Domenico’s Foods strived to increase their brand value and unique identity outside of this association. As an independent food company, they needed to develop their unique brand, generate awareness and expand their reach to generate new customers. In a highly competitive natural foods market in LA, Domenico’s Foods needed to emphasize their high standards of quality and extraordinary products centering on their homemade, authentic Italian family recipes. We Design LA constructed a brand identity for Domenico’s Foods that captured the Italian essence central to their products. To do so, we pulled from Domenick’s personal story that would add a human value to the company and engage consumers emotionally beyond the food. His story breathes through every aspect of the website, creating a special experience for his customers. His personality is what first attracted customers to his products, but the taste and quality are what keep them coming back for more. We made sure that the website did the same. The Domenico’s Foods site provides customers with a fully-integrated ecommerce site that is easy to navigate and incredibly user-friendly as well as interactive. The full-width custom banners on the homepage capture the beauty of his handcrafted artisanal foods, followed by featured products that correspond with the images. 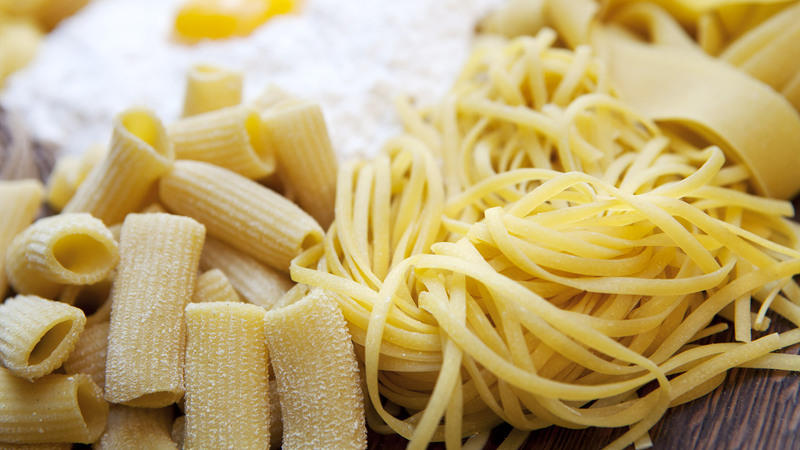 By categorizing the foods into signatures, pestos, tapenades, and fresh pasta, we were able to better highlight his culinary strengths and provide the customer with direction. 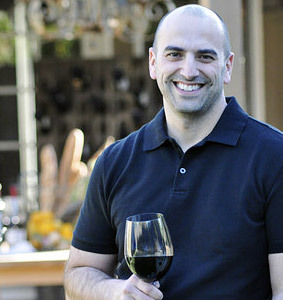 We added a blog section where Domenick can interact with his customers, share recipes with them, and give them new ideas for how to creatively use his products to make delicious dishes just like he would. This added a new level of customer engagement previously missing from his brand. We also pulled in social media to his site so that customers can easily give feedback, write reviews, and share their experiences. 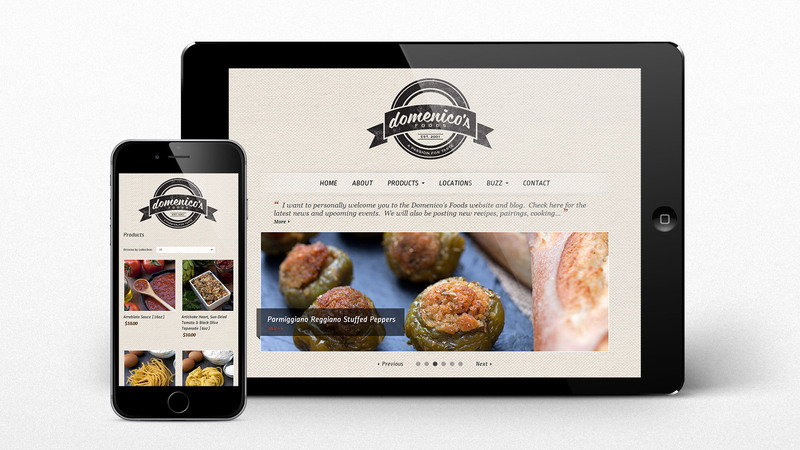 Food is all about bringing people together, so we made sure to create a site that would connect Domenico’s Foods with their passionate and loyal fan base. Jordan designed a great looking website that was cost effective. He made himself available to us and included more services than what we were actually billed for. He was a professional to deal with and offered great experience and insight. He even followed up with us to see how we were doing long after the website went live.